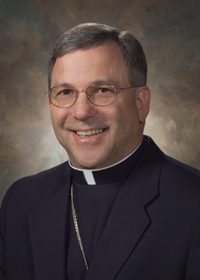 Wishing Bishop Joseph Cistone good health. God bless. From one Father Judge Crusader to another, Non Excidet! Wishes for a speedy recovery! Thoughts and prayers are with you! Bishop my prayers are for a full recovery. May the healing Jesus give you grace to manage through this time of your life. Stay strong in our Lord and Savior. He will take care of His faithful servant. I will pray for your cure, Bishop Cistone.